NE corner of Hwy 287 and Little Rd in Arlington. Next to Subway. Across the street from LA Fitness. 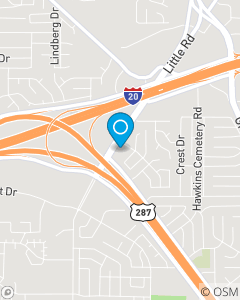 We serve the entire DFW area with our primary focus on Tarrant County. In addition to our 24/7 Good Neighbor service, our team is here to serve you from either of our office locations in the Fort Worth Stockyards and in Arlington. Please call our State Farm office today to speak with one of our wonderful team members, who have over fifty five years of combined experience at State Farm. Both offices speak in English and Spanish.